Cardiovascular disorders and metabolic disorders are considered to be amongst the leading causes of death worldwide. In fact, approximately one-third of the annual number of deaths across the globe are attributed to cardiovascular disorders. Likewise, a significant proportion of the global population suffers from diabetes or some form of metabolism related clinical condition. As per IDF Diabetes Atlas, the treatment of diabetes and related complications incurred USD 727 billion in global healthcare expenditure in 2017. 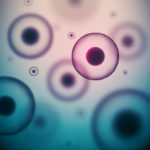 Advances in cell biology and regenerative medicine have led to the development of stem cell therapies that can potentially address several unmet needs and potentially offer a cure for various cardiovascular and metabolic disorders. I have highlighted below some of the most interesting insights from our study. You can also access additional details here.